Kedaara Capital has invested USD 32 mn in Parksons Packaging, India’s leading paper based packaging company. 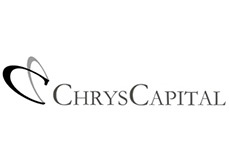 The private equity fund acquired the entire shareholding of the existing investor, Chrys Capital and an additional stake from the promoter group. Parksons Packaging is the largest independent folding carton company in India. Parksons’ dominant position in the paper packaging industry is evidenced by its marquee client list including brand leaders across fast-growing end-markets such as Food and Beverages, Home & Personal Care and Healthcare. Avendus Capital Pvt. Ltd. was the sole financial advisor to Chrys Capital and the others shareholders of Parksons Packaging. “Kedaara’s investment into Parksons is further evidence of the strong interest of the investor community in backing companies with leadership position in their segments” added, Preet Mohan Singh, Executive Director & Head Industrials Group, Avendus Capital Pvt. Ltd. Founded in 1996 in Mumbai by Mr. Ramesh Kejriwal, Parksons Packaging Limited is one of India’s leading paper based packaging companies and is the largest independent folding carton company in India. The company manufactures high quality folding cartons, labels & leaflets and corrugated boxes. Parksons’ dominant position in the paper packaging industry is evidenced by its marquee client list and the company works with brand leaders across fast-growing end-markets such as Food and Beverages, Home & Personal Care and Healthcare. With a pan- India presence and the ability to offer customized solutions, the company has a high and rapidly growing wallet share in many of the customer accounts. The company operates three state-of-the-art manufacturing facilities in Pune, Daman and Pantnagar, with best-in-class design and printing capabilities. Kedaara Capital is an operationally oriented private equity firm pursuing control and minority investment opportunities in India. It typically seeks to invest between USD 20-75 million in each investment. Kedaara combines the strengths of a well-networked, highly experienced local investment advisory and operating team, with the experience of its international partner, Clayton, Dubilier & Rice, a pioneering global private equity firm whose investment model blends financial skills with operating expertise. It partners with entrepreneurs, management teams, and family-owned businesses and provides deep strategic & operational expertise, consultative approach, and global connectivity to build enduring value and competitiveness in such businesses. Avendus Capital Pvt. Ltd is a leading financial services firm, which alongwith its associates, provides customised solutions in the areas of financial advisory, equity capital markets, alternative asset management and wealth management. The firm relies on its extensive track record, in-depth domain understanding and knowledge of the economic and regulatory environment, to offer research based solutions to its clients that include institutional investors, corporations and high net worth individuals/families. In recent years, Avendus Capital Pvt. Ltd. has consistently been ranked among the leading corporate finance advisors in India and has emerged as the advisor of choice for cross-border M&A deals, having closed around 40 cross-border transactions in the past 5 years. Avendus Wealth Management Pvt. Ltd. caters to investment advisory and portfolio management needs of Family offices and Ultra High Networth Individuals / families, spanning all asset classes, while Avendus PE Investment Advisors Pvt. Ltd. manages funds raised from its investors by investing in public markets. Headquartered in Mumbai, the firm has offices in New Delhi and Bangalore. Avendus Capital, Inc (US) and Avendus Capital (UK) Pvt. Ltd. located in New York and London respectively are wholly owned subsidiaries of Avendus Capital Pvt. Ltd offering M&A and Private Equity syndication services in the respective regions. Avendus Capital, Inc (US) also provides wealth management services in select jurisdictions in USA.